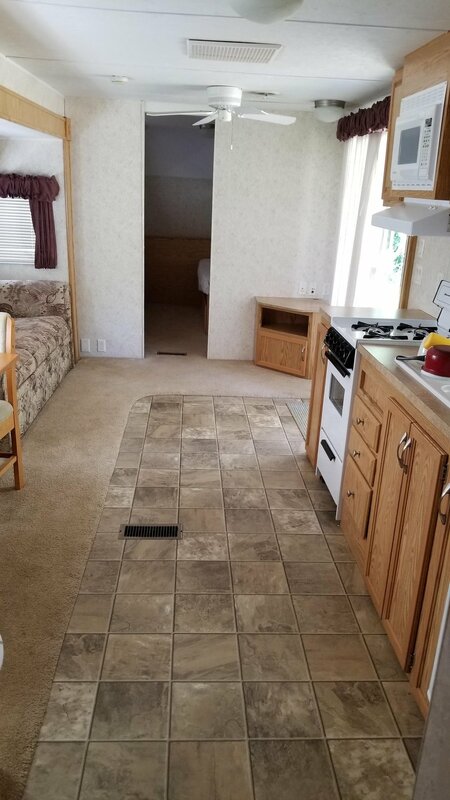 We have roomy 40-foot camper trailers with slide-outs available. They have two bedrooms, a bathroom with shower, kitchen, dining and living area. Plenty of storage for an extended stay! 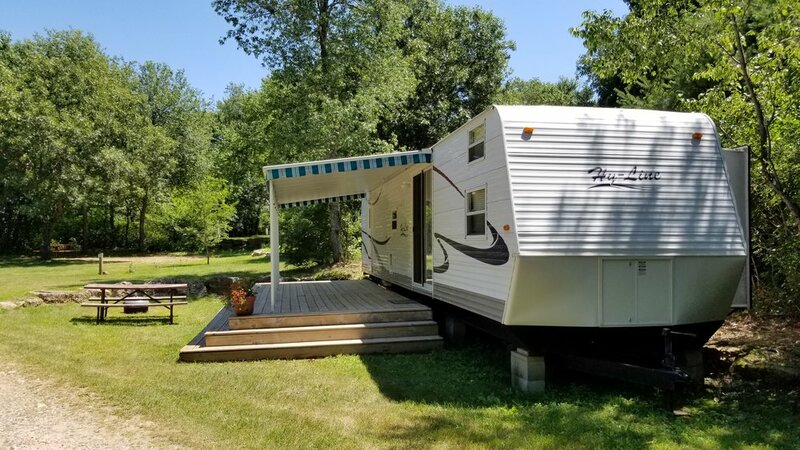 We have a movable 20-foot pop-up camper trailer also available. As an added bonus we can place it in various location throughout the park - perfect for camping near your group of family or friends! 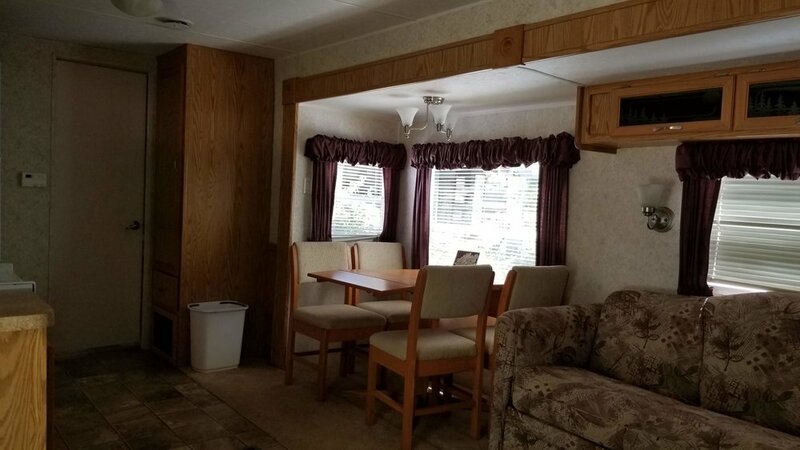 It has two pop-outs both with queen sized beds and a fold out dinette for additional sleeping. Rates based on families of two adults and their children under the age of 18. Each additional adult is $10/night. 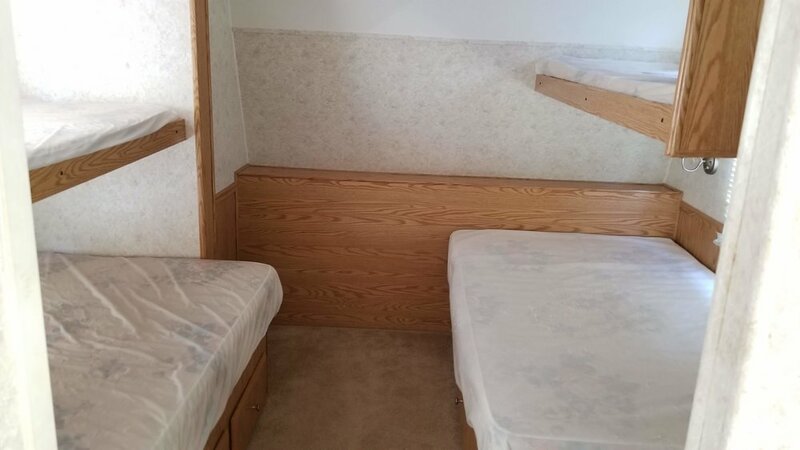 Max of four adults and up to six people per trailer for non-family groups. 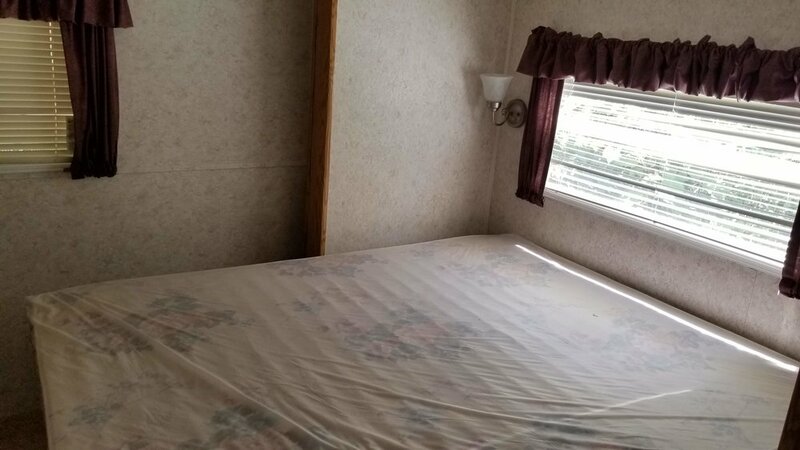 One vehicle is included, any additional vehicles are $5/night. All vehicles must be registered in the office and have a hang tag. Visitors to the campground are $8/day per adult (Children FREE). Visitors must leave by 10:00 pm. Two-night minimum on reservations that include a Friday or Saturday night. Three night minimum for reservations including a holiday. No pets are allowed in rental units. Rental unit check out time is 12:00 noon.